There can be no doubt that tech is empowering the individual. From securing our email and keeping our digital correspondence safe from government surveillance through encryption, to blockchain being used to ensure that elections are protected against government corruption, tech is restoring the balance of power between us and the state. But as great as things may appear to be getting, it is important to remember that when we are up against a foe as formidable as the state, we must practice constant vigilance. And the latest Bitcoin news to come out of China is a perfect example of what we are up against. According to the Managing Director of Dhanua Capital, a California-based venture capital fund, Dovey Wan, the Chinese government just gave an official order to ban all cryptocurrency related commercial activities. A ban on all crypto trading and exchanges was already put into effect earlier this summer. When the first bans went into place, the Chinese government expressed concerns over the crypto world merging with the world of finance and insisted that only government-issued currency is permitted. But this new ban takes things even further. 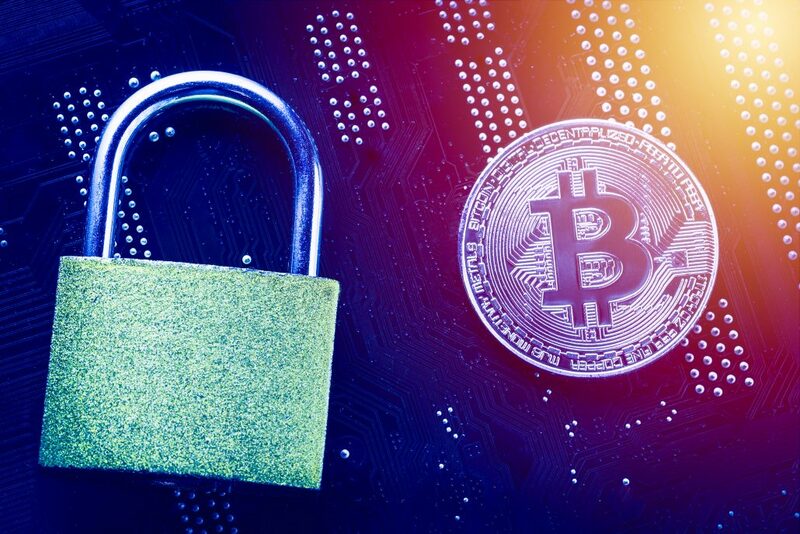 Rather than restricting actual cryptocurrency transactions, this new ban prohibits the spreading of information related to cryptocurrencies and blockchain. WeChat, one of China’s most popular messaging apps, has already been asked to terminate the accounts of crypto news outlets. Within the first few days of the new rules going into effect, eight crypto news outlets had had their accounts closed on WeChat. The Cyberspace Administration of China cited a violation of new policies as the primary reason. The new rule came as a result of the Cyberspace Administration’s “Temporary Regulations on the Development and Management of Public Information Services for Instant Messaging Tools” guidelines, which were instituted in early August. WeChat’s parent company, Tencent, stated that the accounts were shut down because they were “suspected of publishing information related to ICOs [initial coin offerings] and speculations on cryptocurrency trading.” The new rule forces private messaging services, like WeChat, to comply and also sites “national interests” as a reason for the new crackdown. Many of us believe, and rightfully so, that blockchain and cryptocurrencies can help individuals maintain a balance of power with the government. But China’s attempts to block not only blockchain-related activities but actual news and information is downright terrifying. But it is also a sign that governments truly fear the potential blockchain and cryptocurrencies hold for a decentralized future. It is likely that China will not be the only government to take such extreme measures against crypto-related activities, but just because we receive pushback from the powers that be does not mean we should abandon our quest altogether. A slow drain of the value of money over time is a slow transfer of wealth from those who hold money to those who produce it. The government produces money, whether printing their pieces of paper or conducting quantitative easing or creating credit at the overnight repo window. They declare their intent to make the money decrease in value by 2% every year. They can print unlimited amounts for themselves and their cronies, while you and I, who can’t produce money but must use it and hold it, face a guaranteed loss of value. In The Bitcoin Standard, a book about Bitcoin as a decentralized alternative to central banking, Prof Saifedean Ammous starts his argument from this point. Clearly, the government has great power over us when it can rob us of a guaranteed 2% of our money every year. It is as a result of this process that the dollar in our pocket is almost worthless compared to its value in 1913, when the central bank embarked upon this long journey of declared robbery. But the problem is far worse than the guaranteed annual theft of 2% of our wealth. Allowing a sovereign the control of the money can only lead to them increasing their control of everyone’s life. Civilized human living itself rests on the integrity of money providing a solid foundation for trade and capital accumulation. Professor Ammous lists several examples of the cultural, sociological and political depredations due to government money. Government control of money has turned money from being the reward for producing value to the reward for obedience to government officials. It is impractical for anyone to develop wealth in government money without government acceptance. Government can confiscate depositors’ money from the banking monopolies it controls, inflate the currency to devalue holders’ wealth, and reward it to the most loyal of its subjects, impose draconian taxes and punish those who avoid them, and even confiscate other wealth that citizens hold. Fiat currencies reduces people’s sovereignty over their wealth and leaves them helpless in the face of the slow erosion of the value of their money as central banks inflate the money supply to fund government operations. It becomes increasingly impractical to accumulate capital and wealth without the permission of the government issuing that money. It is government’s ability to finance its operations through inflation that allowed for the birth of the heavily interventionist managerial state, with all its associated totalitarian and authoritarian tendencies. Sound money, not controlled by government, is an essential requirement for individual freedom from despotism and repression, as the ability of a coercive state to create money can give it undue power over its subjects, power which by its very nature will attract the least worthy, and most immoral, to take its reins. The cause of the Great Crash of 1929 was the diversion away from the gold standard in the post WWI years, and the deepening of the depression was caused by the government control and socialization of the economy in the Hoover and FDR years. 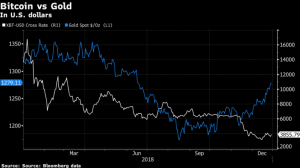 Currency manipulation emerged as a tool of trade policy between governments who deserted the gold standard in order to print unlimited amounts of their own money; trade barriers were erected, with disastrous consequences. Loud and violent nationalism followed. In Keynesian economics, spending is deemed the driver of the economy, and when consumers are saving too much and not spending enough, in the eyes of the Keynesians, the government must step in and do the spending. All spending is spending, in this naïve economic thinking, and so it does not matter if the spending comes from governments mass murdering foreigners. It all counts in aggregate demand. In fact, Prof Ammous describes government’s standard economic war policy as “violent militant Keynesianism”. In the presence of unlimited fiat money to finance government, political differences between parties disappear as politics no longer contains trade-offs, and every candidate can champion every cause. Democracy becomes a mass delusion of people attempting to override the rules of economics by voting for politicians who promise a free lunch, and being manipulated into violent tantrums against scapegoats whenever the bill for the free lunch arrives via inflation and economic recessions. The academic system is completely corrupted by government money. Government schools become propaganda mills, where the curriculum is not determined through its accordance with reality, but through its accordance with the political agenda of the government funding it. In academia, professors spend very little time and effort on the teaching and mentoring of students, focusing most of their time on publishing unreadable research to get government grants and lucrative government consulting and projects. In a world where central banks allocate credit, both directly and through its captive monopoly banks, the larger firm has an advantage in being able to secure funding at a low rate that its smaller competitors cannot get. This helps explain why large-scale food producers proliferate so widely around the world, as their lower interest rates allow them to finance growth and bloat. The triumph of mass produced, highly processed junk food cannot be understood outside the effects of large scale that government money affords to producers. Sound money protects value across time, which gives people a bigger incentive to think of their future – to lower their time preference – and to save and invest in order to accumulate capital, increase production and elevate the quality of life for all. The lowering of time preference is what initiates the process of human civilization and allows for humans to co-operate and live in peace. Government money has the opposite effect. It increases time preference, and lowers incentives to save and invest. It reverses the process of civilization. Over the last few years, cryptocurrencies have been a hot topic. And while Bitcoin tends to dominate most conversations on the subject, there is so much more to this technology than cryptocurrency alone. Blockchain technology, which is the medium through which Bitcoin and others cryptocurrencies are sent and received is changing the world. From decentralizing art ownership to rebuilding foreign economies, blockchain’s potential is endless. One of the more surprising industries Bitcoin is shaking up is the film industry. 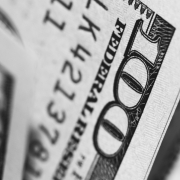 Until recently, unless you had the right contacts or an overflowing wallet, financing something as expensive as a film or television series was nearly impossible. While the entire “indie” film genre typically meant lower-budget films, even those budgets were more than the average person can afford. But the crypto space has allowed for new opportunities to raise capital, which means more artists and entrepreneurs are able to fund projects they are passionate about. And, more importantly, they are able to fund projects with strong themes of individualism, economic liberty, and decentralization, something not seen often in Hollywood. Being able to fund Hollywood films may not seem like a high priority for many. But the implications are far-reaching. Whether we like it or not, pop culture plays a huge role in our lives. The content we consume by watching films or television shows impacts our worldview in a way that other forms of content may not. When we watch a film or series we are transformed into another world where we are almost entirely engrossed in the character’s hero’s journey. We experience each triumph and failure right alongside the characters on the screen. Sometimes the scenes portrayed are so powerful, we are encouraged to enact some sort of change in our own lives. That is the power of art. While one may learn more concrete knowledge from an economic textbook, few people seek out economic texts for pleasure. But almost everyone consumes media of some sort. And unfortunately for those who favor more of a decentralized, individualistic view of the world, Hollywood films seem to have an agenda that is often incompatible with individual liberty. Having the “power of the purse” yields a lot of control over the subject matter portrayed in films and television series. For example, Hollywood’s anti-individualistic tendencies mean that many films coming out are biased and molded to further an agenda. While everyone has an agenda of their own, it is always good to be able to combat ideas with alternative ideas. But when only one side has the power to fund these projects, only one side gets heard. But now that cryptocurrencies are presenting new ways to raise money, this is changing. The forthcoming series, Hardfork is unlike any other series around today. Set in a dystopian future, the series incorporates blockchain and cryptocurrencies into its storyline. The series tells the story of a radical group of rebels who utilize blockchain technology in order to hack the powers that be in order to bring the entire system down. But its content alone isn’t what makes it so spectacular. Hardfork is also the first series whose funding is being raised solely in cryptocurrency. Utilizing the Steemit.com, a crypto-backed platform for artists of all varieties to share their work, the producers began raising the funds for HardFork. After raising 30k, the producers used a portion of those funds to create a teaser to share in order to build hype for the project. After the first teaser debuted in Portugal last year, the project gained a significant following. From that point on the momentum began to build. 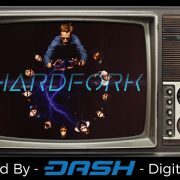 All this buzz resulted in the cryptocurrency team from DASH contributing almost a million dollars to the HardFork project. So, not only is this project able to utilize crowdsourcing among the crypto community, but they are also able to further their message of decentralization and individualism. A rare concept to be portrayed on a mainstream show. We are still in the very early years of blockchain technology and already it is having an enormous impact on the way information is spread and how projects are able to be funded. One can only imagine what the future holds. Recently, I wrote about how the cryptocurrency boom is making many young and idealistic investors exceedingly rich. And with this newfound wealth comes the opportunity to pursue passions projects. And this is exactly what one ICO is doing for public educators. 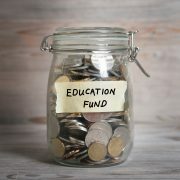 There is no doubt that in spite of the large amount of money being funneled into the department of education through taxation, many public schools fail to get the supplies and resources they are in need of. As is the nature of all government bureaucracies, taxpayer money is spent primarily on the salaries of high-ranking administrators and not on actual education costs. That is why many teachers have stopped relying on the government and have instead turned to crowdfunding sites to have their needs met. Last week, the crypto-based payment network, Ripple, donated $29 million to the site DonorsChoose.org. DonorsChoose.org is a crowdfunding site that helps connect teachers with donors in order to meet their various classroom needs. To date, this donation on behalf of the ICO is the “largest donation of cryptocurrency” on record. But just how far can $29 million go towards fulfilling the teacher’s needs? Thanks to Ripple, every single teacher on the site was able to have their needs met. One of the true wonders of ICOs and blockchain is the fact that this technology is making decentralization easier than at any other time in history. This is largely because this technology is continuously showing us that private entities can solve problems that governments cannot. And in many cases, these problems were started by governments in the first place. Whether it is stealing data from its citizens or failing to secure it against hackers, the government is horrible with our private information. But where the government is constantly trying to see what we are up to, the blockchain is making it easier to transfer data anonymously and without the fear of having it confiscated by the government. But the power of this technology does not end there. Because so many early crypto adopters have made a fair amount of money, they are able to show us that the government need not be relied on for funding every program under the sun. for example, when Puerto Rico was devastated by the latest hurricane season, many called for government aid. But crypto investors stepped in with their own plan. The project, “Sol” was started by crypto investors and focuses around helping rebuild the Puerto Rican economy. Wealthy investors are now moving to the island with their newfound wealth and are creating new jobs for the locals while also helping the island become a major crypto hub. Many people who have traditionally seen the government as the only medium through which public programs can be funded are now seeing that there is another way. But cryptocurrency is showing us that we do not need the government in order to have financial needs of educational facilities met. Those of us living in economically advanced countries can take for granted how easy and inexpensive it is to transfer money between individuals. With payment platforms like Venmo and Paypal readily available, sending and receiving payments is as simple as tapping your smartphone screen a few times. But for those from poor countries who have left their families and communities behind in search of a more opportunity-rich life in America, sending large sums of money back home comes with a hefty price tag. In fact, by the time the money actually crosses borders and reaches its recipients, between eight and ten percent of the funds have been lost to service fees. 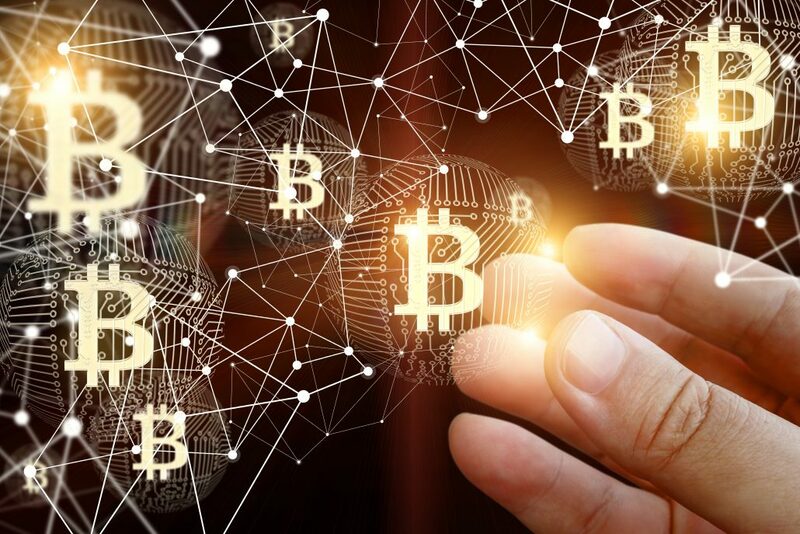 Fortunately, the popularity of cryptocurrencies and blockchain technology are revolutionizing the MSB sector and giving the underbanked populations the opportunity to get ahead economically. At the moment, Bitcoin is by far the most recognizable cryptoasset. In fact, there are now more Google searches for “Bitcoin” than there are for “Beyonce,” proving just how mainstream it has become. And while many average Americans have heard murmurings about it for years, few understand what exactly it is or how it works. And that is completely fine. 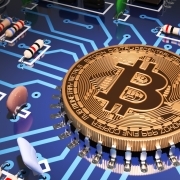 The beauty of Bitcoin and cryptoassets, in general, is that their potential is not limited only to the tech-savvy. One does not need to work in Silicon Valley or understand blockchain technology in order to utilize these transformative mediums of exchange. All you really need is a digital wallet. For middle-class participants of the crypto economy, the decentralization and anonymity of the blockchain world may not be a primary motivator like it is for libertarians and other decentralization enthusiasts. But what does resonate with this crowd is the ability to invest and make money outside the world of established financial institutions: the same institutions that have been stacked against them for far too long. We live in a world where our personal data is collected by both governments and private companies alike. Since most of our lives are now conducted online, every time we shop for something, communicate with someone or search Google, we are making ourselves vulnerable to data mining. And with data collection, comes the fear over the security of that information. To call the blockchain anything less than revolutionary would be an understatement. 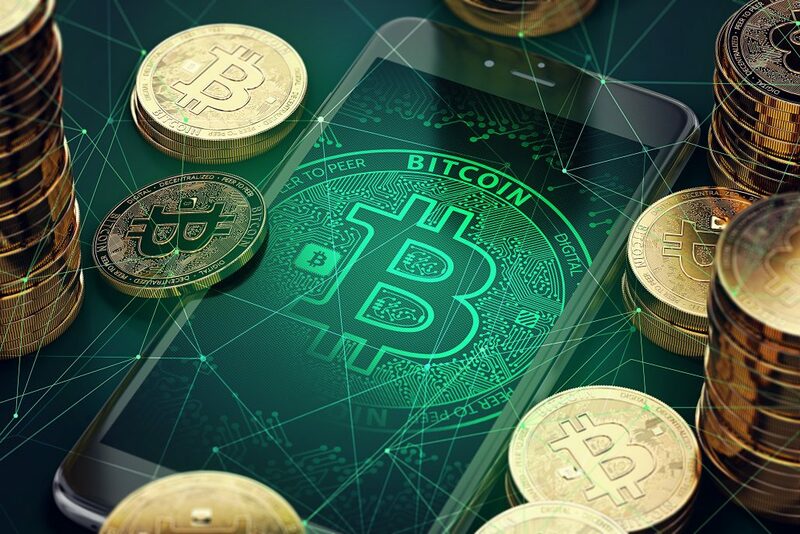 Not only is this technology striking a blow to traditional financial and banking institutions with various cryptocurrencies, it is also allowing individuals to make private transactions, free from government intrusion. And that is where data collection comes in. By utilizing the blockchain as a means of storing personal data, you keep it safe. But there is more to it than that. Just as cryptocurrencies can be sent and received on the blockchain, so can data. And since this is both anonymous and secure, you do not run the risk of having this information intercepted, and then stored, by either private companies or governments. Just as holders of cryptocurrency can own fragments of one full token, say one Bitcoin for example, so can investors own portions of artwork through Maecenas. And while each partial investor cannot hang the work of art in question in their homes, they do benefit. This means that if a gallery utilized Maecenas to save costs, someone owning only a small portion of the artwork is still earning interest on their initial investment. This means that all parties benefit. And, in a very tangible sense, it is creating wealth in new areas. More people have access to art investments and galleries are saving money acquiring new pieces, which allows them to lease even more works of art. For decades, many liberty enthusiasts have dedicated themselves to academia, think tanks, or grassroots activism. And while each of these roles is essential to spreading the precepts of liberty, they do not often come with outrageously high salaries. There is absolutely no shame in choosing to pursue your passions rather than to seek only financial gain. But there is also no shame in choosing to do both. And now that many liberty activists have made a small fortune on crypto investments, having the money to fund passion project is becoming a reality. Since the government has a monopoly on force, we may never be able to achieve success through the legislative process. But each time a crypto activist uses their money to further decentralization, liberty wins. Any doubt of this can be cleared up by considering the fear expressed by many regulators and statist economists every time crypto breaks through another barrier. One way some investors are putting this into practice is by participating in an effort to rebuild Puerto Rico’s economy. Utah is known primarily for its annual Sundance Film Festival, its abundant Mormon population, and an affinity for Jell-O salad that even its residents don’t fully understand. But what is less known about the Beehive State is that it is often on the cutting edge of technological breakthroughs, and cryptocurrency has been no exception. The newlyweds were about to spend the next three months living solely on Bitcoin. In fact, the University of Utah was one of the first colleges to join ARPANET—an early form of the internet created exclusively for the Department of Defense— and served as a node in the network. Additionally, the state was one of the first to acquire the much sought after Google Fiber and has attracted tech companies like Adobe, as well as being the home of Overstock.com, one of the first major companies to accept Bitcoin on all purchases. And while Utah is technologically savvy, the entire state still has a very simple hometown vibe. Its culture is rooted in tradition and its residents have been living a certain way their whole lives without any particular interest in seeing that change. It is for these reasons that this state offers such a compelling backdrop for a documentary on cryptocurrency. Like most newlyweds, Austin and Beccy Craig were excited about returning home to Utah after their honeymoon and beginning their new life together. But unlike most couples who find their lives calming down after the chaos of wedding planning is over, the Craigs were about to embark on an adventure no one had ever attempted before: Beccy and Austin were going to spend the next three months living solely on Bitcoin. The rules of the Life on Bitcoin documentary were relatively simple: Bitcoin would be the only medium of exchange permitted for all financial transactions made by the couple for 90 days. All cash, credit, and debit cards were to be confiscated and phones, internet, and any other accounts not currently set up to accept payment with Bitcoin would be shut off as well. The Craigs have become modern pioneers in the world of cryptocurrency. 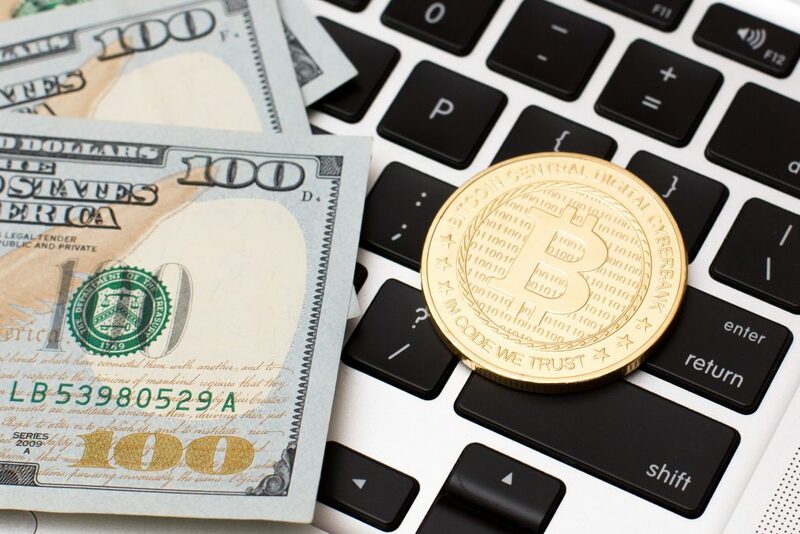 Each transaction made would also be limited to include only the buyer(s) and the seller, without a middleman exchanging US dollars for Bitcoin. For this experiment to really work and prove Bitcoin’s value as a form of real-world currency, it would need to be as practical as possible. Using a third party to exchange Bitcoin for USD, and then giving the USD to the seller would be a mere currency exchange rather than an actual transaction of money in exchange for goods or services. So an intermediary was only permitted for transactions after all other avenues had been attempted. Since Utah is a tightknit community where its members care for each other often without being asked, there were also rules placed on the ability of family and friends to help out the couple. Unless the family or friends in question had legitimate commercial businesses, they would not be allowed to assist the Craigs. The only two exemptions to these rules were payroll taxes withheld from the couple’s paychecks, and of course medical emergencies. To keep the experiment both interesting and applicable to the real world of Bitcoin transactions, the experiment was set to grow as the Craigs achieved success. If the couple proved that they were able to master the art of using Bitcoin to pay for food, rent, internet, and all other bills in Utah, then the limits would be pushed to include interstate travel and then international travel. 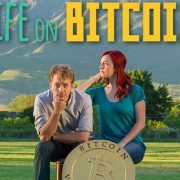 Thanks to Austin and Beccy the small town of Provo, Utah has now become a Bitcoin haven. Both Beccy and Austin come from a heritage filled with religious pioneers who escaped tyranny and oppression from the Federal government by packing up their wagons and trekking from the East Coast all the way to the mountainous desert of the Salt Lake Valley on foot. It is extremely appropriate then, that the Craigs have become modern pioneers in their own right, venturing out into the uncharted territory of cryptocurrency and escaping the centralized banking institutions and their government partnerships that have brought us such financial catastrophes as the Great Depression, the Savings and Loan Crisis, and the Housing Crisis of 2008. But Beccy and Austin were not the first to attempt such a venture. Prior to the Craigs, Bitcoin adventurer, Senior Online Editor for Forbes and self-proclaimed privacy pragmatist Kashmir Hill decided to conduct a smaller scale experiment, using only Bitcoin for one week in San Francisco. Many might assume that San Francisco would be a more successful venue for this cryptocurrency experiment than Provo, Utah. But at the time Hill conducted her experiment, there were just not enough individuals using Bitcoin as a means of everyday currency and its value in USD was extremely volatile. 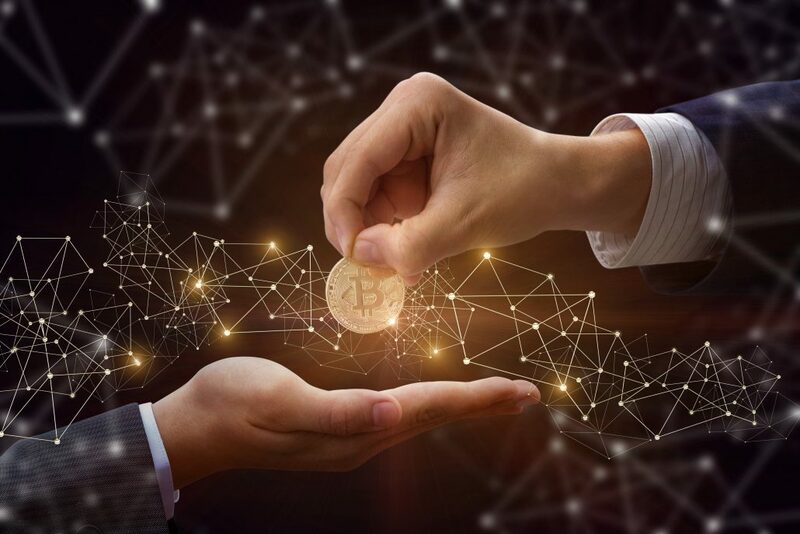 As Dan Kaminsky, a network security researcher and Chief Scientist at Whiteops Security points out in Life on Bitcoin, “You want people exchanging currency as fast as possible. The faster they can spin that money around, the more wealth the overall society has.” But in the absence of a local Bitcoin community, living off the cryptocurrency for a week was nearly impossible. In the film, Hill explains having to move out of her apartment after failing to convince her landlord to accept the cryptocurrency as payment. Hill also speaks of losing five pounds from not being able to pay for food with Bitcoin. But while San Francisco is what Hill refers to as a “tech mecca,” the small town of Provo has surpassed the silicon valley in becoming its own cryptocurrency haven thanks to the Craigs. After successfully convincing their landlord to accept rent in Bitcoin, the next priority for the Craigs was finding wifi. Since Bitcoin transactions rely heavily on wifi in order to transfer funds, having fast internet, as well as smartphones, was essential. Once this need was met, the couple moved on to finding a gas station and a grocery store that would take their digital money. After several attempts, the couple was finally able to meet their needs as well as convincing several local restaurants into joining their experiment and taking Bitcoin as payment. In addition to getting a traditional grocery store on board, they were also able to convince several local farmer’s market vendors to accept Bitcoin, as well as community supported agriculture (CSA) projects. Bitcoin continues to build its own reputation and relevance in the face of critics. The only financial obstacle the Craigs were not able to remedy with Bitcoin was the parking ticket they got while filming the documentary. The judge, however, allowed them to postpone paying the fine until the documentary was completed. These local victories were somewhat short-lived however, as Beccy and Austin would now have to move on to the next challenger: cross-country travel and international travel. While the Craigs succeeded in completing both a road trip across the country and traveling abroad, it would have been almost impossible for them to do so without the support of other early Bitcoin adopters who were also using the currency whenever and wherever possible. Whenever the Craigs found themselves in a bind as they traveled outside the state and the country, there were always members of the Bitcoin community who were more than willing to assist the couple with whatever they needed. Even as Austin and Beccy found themselves without transportation in Singapore, a local Bitcoiner was able to come to their rescue and help, reiterating the important role communities play in the adoption and expansion of cryptocurrencies. After their international trip was completed, the couple had spent a total of 101 days living solely on Bitcoin. It should shock no one, then, that Krugman has also been an avid critic of bitcoin, lambasting those who are encouraged by its advent, even writing an article entitled, “Bitcoin is Evil.” But while economists and central planners sit in their ivory towers condemning the use of a currency that, if successful, would diminish the need for the existence of central authority, Bitcoin has continued to build its own reputation and relevance and the Craigs have been major contributors to this cause. While the Craigs have no regrets, they do admit that as of now Bitcoin is “not ready for primetime.” But this doesn’t mean that Bitcoin should simply be ignored in its infancy. In fact, without early adopters, the cryptocurrency would never have made it this far. Sure, we may be years away from going to Starbucks and exchanging Bitcoin for our morning coffee, but that doesn’t mean Bitcoin has no relevance in our current world, nor does it take away from the impacts Bitcoin is already making. In underbanked regions of the world, where banks are a luxury not afforded to the most impoverished, individuals are finally able to participate in the global economy of which they have been excluded for too long. Likewise, those sending money across borders to family members are now able to do so in Bitcoin to avoid costly service fees and currency exchange rates. 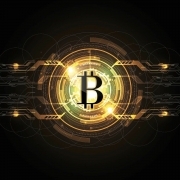 Bitcoin and other cryptocurrencies are changing the way individuals conduct financial transactions with each other. Governments have slowly taken our most precious rights to privacy away from us. Our bank accounts serve as self-incriminating logs of all our habits and vices, but the blockchain and cryptocurrencies are taking back the power by allowing individuals to make exchanges without government interference. Without crypto pioneers like Beccy and Austin, Bitcoin would have never obtained the level of success it already has. It takes individuals, and the communities those individuals make up to change hearts and minds. In fact, many entrepreneurs are using blockchain technology to completely reshape certain industries. Smart contracts facilitated via the blockchain, for example, have the potential to cut out the need for any mediator or middleman when it comes to enforcing signed contracts. Until now, third parties were always needed to facilitate the terms of a binding agreement. This usually meant having to deal with mediators and lawyers to make sure that both independent parties lived up to the terms of the arrangement. But now, innovators are moving this outdated model to the blockchain. In the digital space, an algorithm is responsible for enforcing the terms of an agreement, rather than a human being. 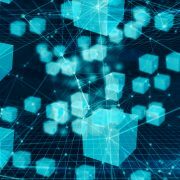 And while this has the potential to change how we have previously thought of formal contracts, this is just one example of how blockchain can positively disrupt certain sectors. And with this disruption comes the opportunity for entrepreneurs to cash in on new opportunities for innovative concepts. One example of this comes from the company, The 4th Pillar. The 4th Pillar believes it can reduce the human component of human resources by moving many HR duties to the blockchain. Currently, the primary task of HR departments is to ensure that professional profiles of various employees are maintained as well as making sure that each employee receives their compensation in a timely manner. But with the blockchain, all this can be can be stored and managed digitally. 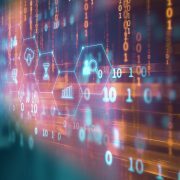 We already know though that blockchain is making it easier for individuals to send and receive money at much lower rates than traditional financial institutions. Not only is this more convenient for its users, it also has a certain amount of anonymity around it as well, something banking institutions cannot promise. The 4th Pillar would act similarly, as far as sending payroll checks to workers is concerned, but it can actually do much more than that. Bringing HR functions to the blockchain would also allow the company to streamline the recruitment process, making it easier for both the employer and the employee. Since the user controls his or her own information, they will be able to manage the data that is stored on the blockchain, as well as build their savings and their professional identity, making networking easier when the time comes to find a new job. On the employer’s end, they will be able to manage payroll payments, manage confidential data, and reward employees for their achievements, all via the blockchain. The 4th Pillar will be fueled by the organization’s own token called, the FOUR Token and powered by Bokky’s token teleportation service, a site that facilitates smart contracts. Once the FOUR token is used to gain access to the platform, funds can be sent out in any value that is most convenient to the user. While the FOUR token holds its value mostly within the realm of the 4th Pillar, it is hoped that internally it can be used to incentivize early adopters to sign on to the concept. The company plans to have its development process complete over the next three years. It ultimately hopes that it can add more user-friendly features, like a digital wallet, the ability to distribute documents, and other management features. But what makes this entire concept intriguing is that it was designed by those who have spent their careers in the HR world. While the product itself has not fully launched yet, it is well out of the conceptual stage. In fact, the 4th Pillar already has early adopters who have signed on to use the product. 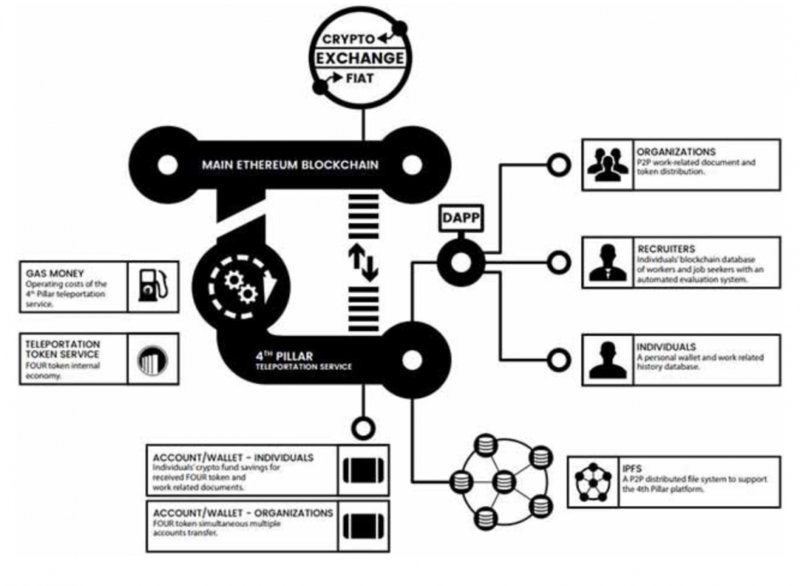 And while it may not be helpful to those who are already confused by the intricacies of Blockchain technology, the 4th Pillar has put together the following graphic to help explain how it all works. When the internet went mainstream, entrepreneurs were given even more opportunities for innovation. Not only did this connectivity create demand for entirely new sectors, it also allowed for new ways to advertise to a wider audience. As the blockchain begins to be embraced by more people, it is opening up a new frontier for entrepreneurs. The 4th Pillar is just one of many organizations that have identified a way in which the blockchain can be used to make our lives easier and more efficient.